So it's Sunday afternoon again and you're keen to catch up with friends for the last few drinks before another week at work. Or maybe you're keen to hear some great tunes and maybe even join in and make some music of your own. If you've ever found yourself in one of those moods then every second Sunday, the 'Boo' is where you want to be! Whether it's barefoot bowls, great food, or the blues jam, there is definitely something for everyone. The Blues Association of South East Queensland (BASEQ), responsible for the annual Memphis Blues Challenge, as well as spreading the word about hundreds of other blues events every year, host the blues jam on the second and last Sundays of each month and whether you're a pro or a beginner, they'll hand over the microphone and let you take centre stage. The jams are opened at around 1pm by established (and bloody great sounding) local blues bands that play for about an hour and are sure to put a smile on your face and get you in the vibe before they hand the stage over to anyone and everyone to give local musos a chance to meet and jam in a great setting surrounded by appreciators of blues. 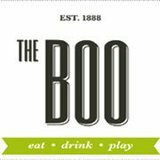 Along with the great tunes that roll on all afternoon, the Boo claims to be Brisbane's best barefoot bowls venue so if you enjoy the music but can't see yourself up on stage jamming, perhaps a few rounds of bowls with friends might be a little more down your lane. But whether you're jamming or bowling, the one thing you definitely want on a Sunday afternoon is a good feed, and as someone who likes a good bite, let me tell you, the Boo delivers! Great meals, really cheap, and on top of the regular menu there are a few 'bluesy' items that will definitely get you feeling like you're Stateside in one of the old blues houses of years gone by. The jam and the concert by the opening band are both free to enjoy and take part in and BASEQ will have plenty of information about other blues events, membership as well as have plenty of copies of The Groove (the monthly BASEQ newsletter providing information about upcoming gigs, CD launches and other events) handy for you to read and subscribe to. So for a Sunday afternoon with cold beer, great food and fun tunes, there is only one place in town to consider. For more information about the blues jam head here and for more information about the Boo head here.